It’s a tale that seems as old as time: Pig steals egg; bird gets mad; bird lays seige to pig’s castle. And it looks like Rovio will be expanding on the storytelling and entertainment of its sqawking goldmine as the Angry Birds cartoon series is set to launch later this year in August. The cartoon series is intended to be distributed across as many devices as possible, be it smartphone, TV, tablets and more . The move is part of Rovio’s vision to expand beyond being simply a gaming company. Animation will allow the company to make their characters less flat, and attract different fans. 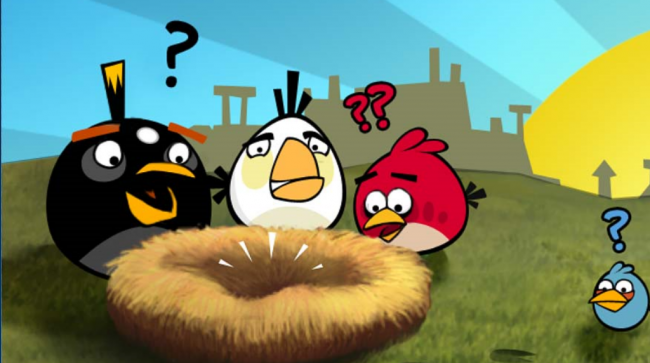 Besides expanding on the story behind its addictive Angry Birds game, Rovio still has plans on the gaming front. Dorra added that Angry Birds games in the future will have “nothing to do with the gameplay we have seen before”. For those of you looking to try out something new, Rovio will also be releasing some new games this year; brand new, non-Angry Bird related IP. It’ll be interesting to see if Rovio can find success beyond its gaming crutch.